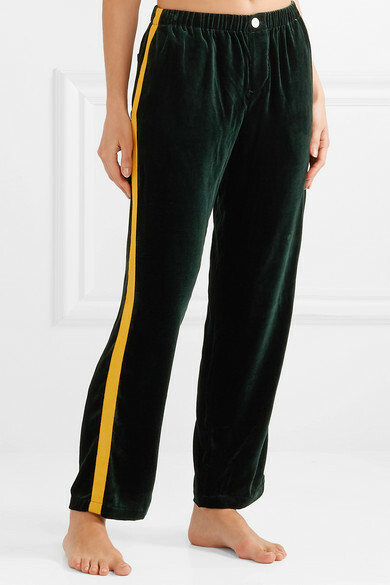 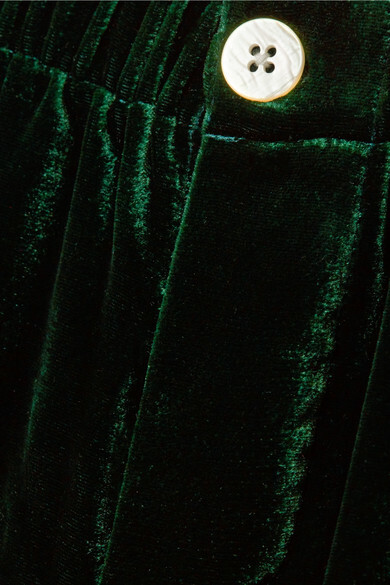 There are few pajama pants more luxurious than Sleepy Jones' velvet 'Marina' version. 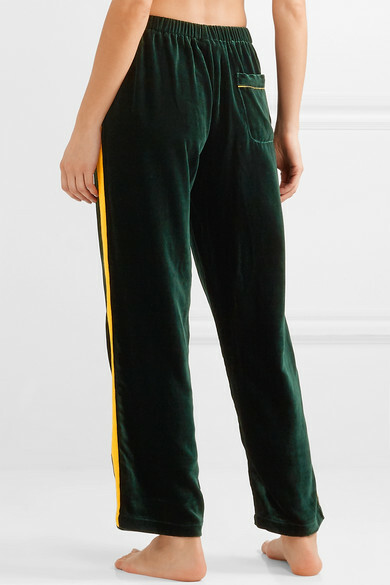 Cut for a relaxed fit, this plush pair has an elasticated waistband and tuxedo-inspired marigold grosgrain stripes along each leg. 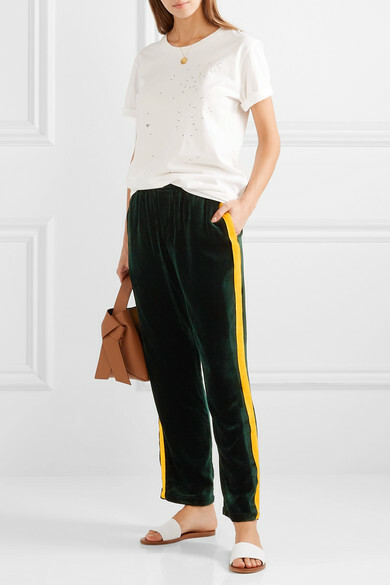 Wear yours with matching top or tucked-in tee.